Black violet color. Elegant aromas of polished fine furniture, tobacco, maraschino liqueur, and maitake mushroom with a chewy, vibrant, dry-yet-fruity full body and a peppery, nuanced, long vanilla, dill, white pepper, miso, and chocolate covered strawberry finish with chewy tannins and heavy oak flavor. A bold Petite Sirah that hits the Howell Mountain nail on the head. Bottom Line: A bold Petite Sirah that hits the Howell Mountain nail on the head. 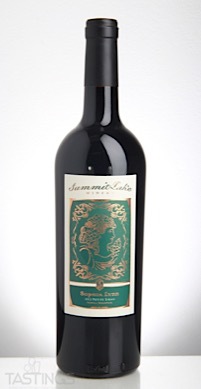 94 • Summit Lake 2012 Emily Kestrel, Cabernet Sauvignon, Howell Mountain 14.5% (USA) $70.00. 92 • Summit Lake 2013 Emily Kestree, Cabernet Sauvignon, Howell Mountain, Napa Valley 14.8% (USA) $75.00. 83 • Summit Lake 2013 Zinfandel, Howell Mountain, Napa Valley 15% (USA) $75.00. 93 • Summit Lake 2012 Sophia Lynn, Petite Sirah, Howell Mountain, Napa Valley 14.5% (USA) $55.00. 93 • Summit Lake 2014 Estate Bottled, Zinfandel, Howell Mountain, Napa Valley 14.9% (USA) $36.00. 94 • Summit Lake 2014 Emily Kestrel, Cabernet Sauvignon, Howell Mountain, Napa Valley 14.8% (USA) $85.00. 93 • Summit Lake 2013 Sophia Lynn, Petite Sirah, Howell Mountain, Napa Valley 14.8% (USA) $55.00. Petite Sirah, which is also spelled as Petite Syrah (or even Petit Sirah) is a California red wine with deep color, rich tannins and a good deal of spice. While a few medium and larger-sized producers in California make Petite Sirah, most examples are from smaller artisan producers. These vintners often emphasize the chocolate and plum flavors as well as the chewy tannins. 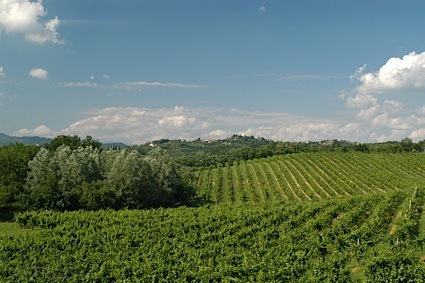 As these wines are rugged in nature, these often need a few years after release before they are in ideal drinking condition; five to seven years is generally an ideal time frame for best consumption. Pair Petite Sirah with such foods as grilled lamb, pork roasts, stews and game. Summit Lake 2012 Sophia Lynn, Petite Sirah, Howell Mountain, Napa Valley rating was calculated by tastings.com to be 93 points out of 100 on 1/31/2018. Please note that MSRP may have changed since the date of our review.